The District is seeking public input on a project to fell dangerous and/or diseased trees and replant and transplant in the area. The project is designed to address safety concerns and also to promote the health of the forest in the area. Disease including dwarf mistletoe and a variety of forms of rot is prevalent in the forest surrounding the popular lake. Sisters District Ranger Ian Reid told The Nugget that he was “blown away” by the extent of the decayed forest conditions — especially in the area of the Suttle Lake United Methodist Camp — when he toured the area after taking his position last year. The Suttle Lake area has become well-known among foresters for its condition. “It’s a place where employees would go to train on the various hazards and defects in trees,” he said. Reid noted that the conditions are natural. “It’s an old forest and that’s what forests do — they fall apart. And in lots of areas, that’s fine,” he said. But in an area that’s full of campgrounds and developed camp facilities and traveled by thousands of people each year, a forest that’s falling apart can pose a hazard. Reid noted that a USFS employee’s truck was struck by a decrepit tree that fell near the lake. It totaled the rig. Managers of the several camps in the area have been urging action by the Forest Service, which has been addressing hazard trees on a case-by-case basis. Reid said that the District decided that it is time for a comprehensive approach to the area. Some of the downed trees would be used for habitat restoration work, including in Link Creek. Reid acknowledged that the project will have some impact on the visual appearance of the forest in the area of the lake. He said that, depending upon the level of public interest, part of the public input process may include field trips to the area and identifying specific trees that foresters could try to save. Comments are welcomed by the Sisters Ranger District; deadline is April 19. 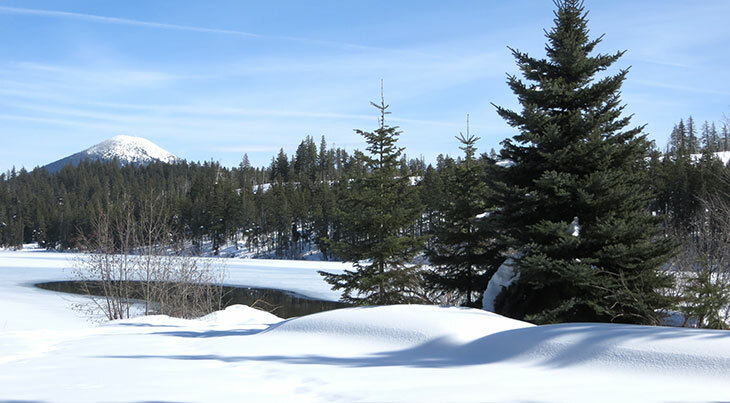 Submit comments to Greater Suttle Lake Vegetation Management Project, P.O. Box 249, Sisters, Oregon 97759 Attn: District Ranger Ian Reid, c/o Michael Keown, Environmental Coordinator. Telephone 541-549-7735. FAX: 541-549-7746. Hand-delivered comments may be delivered to Highway 20 and Pine Street in Sisters from 8 a.m. to 4:30 p.m. Monday through Friday, excluding holidays. Email comments should be sent to: comments-pacificnorthwest-deschutes-sisters@fs.fed.us. Put “Greater Suttle Lake Vegetation Management Project” in the subject line of the email.